Followers of feminist research methodologies have long pushed researchers to reconsider their role as collaborative learners working with diverse communities. This essay introduces a collaborative Timeline research methodology for studying lands management history with Indigenous communities. Through the case study of the Karuk Lands Management Historical Timeline, I describe how a group of student researchers embarked on a collaborative research project with the Karuk Tribe in Northern California. I then analyze our successes and challenges with “giving back” to the community. 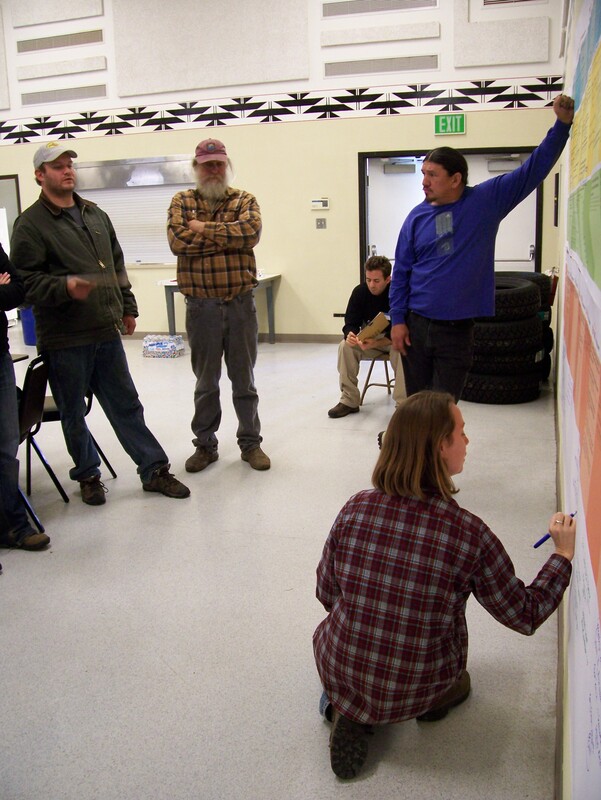 Our end result – a fifteen-foot long artistic timeline of land management history and community impacts – has provided a transformative community education tool. In addition, our research methods provided a useful framework for ongoing reciprocal learning. Our key “giving back” moments emphasized the importance of feminist perspectives on situated knowledge and leveraging visual communication tools. The overall experience has led me to reconsider “giving back” in terms of benefit sharing and reciprocity. Diver, S. In review. Giving back through time: A collaborative timeline approach to researching Karuk Indigenous lands management history. For a special issue of Gender, Place and Culture: A Journal of Feminist Geography.